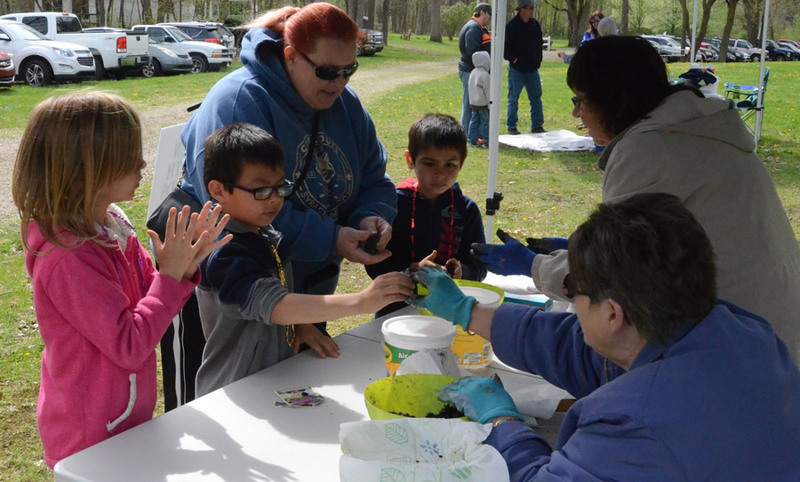 Aryeana Terry, Zaidyn Ferrer, Pam Sanchez and Cailyb Ferrer, Cromwell, make milk weed and cone flower seed balls during last year’s Earth Day Festival. Marty Cesco and Charlotte Hill, members of the Syracuse-Wawasee Garden Club were on hand to assist in the creation. 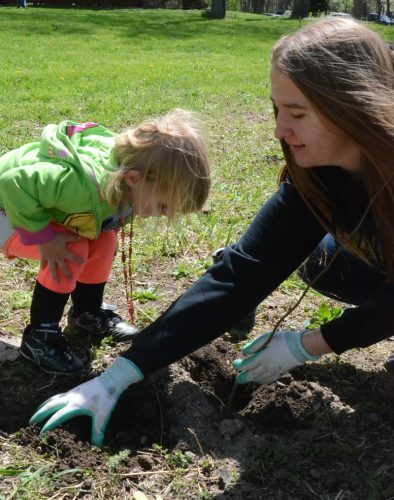 SYRACUSE — Wawasee Area Conservancy Foundation, SR 13, Syracuse, will host its third annual Earth Day Festival Saturday, April 21. The event, from 11 a.m. to 3 p.m., will take place at the WACF Levinson-LaBrosse Educational Center. Nora Daily is a bit inquisitive about what is in the ground while Alexis Matney prepares to plant a tree during the 2017 Earth Day Festival.